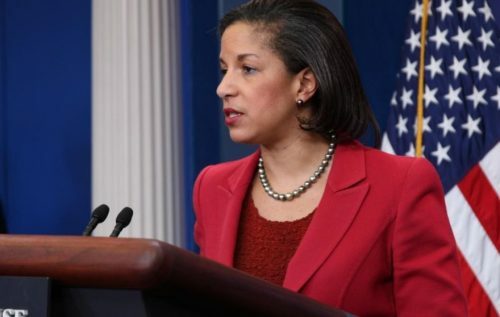 As part of its daily wrap of the Susan Rice newsflow, which focused on her first media appearance since she was “outed” as the persona responsible for “unmasking” members of team Trump, the WSJ provides two new pieces of incremental information: i) in addition to Michael Flynn, at least one more member of the Trump transition team was “unmasked” in intelligence reports due to multiple foreign conversations that weren’t related to Russia; and ii) Rice wasn’t the administration official who instigated Mr. Flynn’s unmasking, confirming there is at least one more high-level official giving “unmasking” orders. But perhaps there is more to the story than what we know so far. And this is where the WSJ comes in, with the new info that according to a Republican official familiar with deliberations by GOP lawmakers on the House Intelligence Committee said that the names of two U.S. citizens who were part of Mr. Trump’s transition team have been unmasked in intelligence reports. One is Mr. Flynn and the other hasn’t been identified. The report involving Mr. Flynn documented phone conversations he had in late December with the Russian ambassador to the U.S.